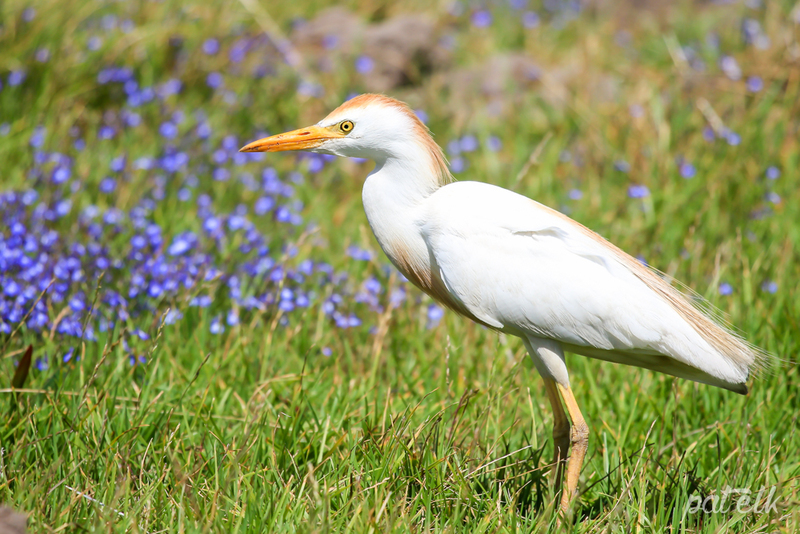 The Western Cattle Egret (Afrikaans name, Veereier) is a common resident in parts of the range, migratory by others. Feeds mostly on insects, small reptiles and ticks on antelope and cattle. We see them mostly in the West Coast National Park.